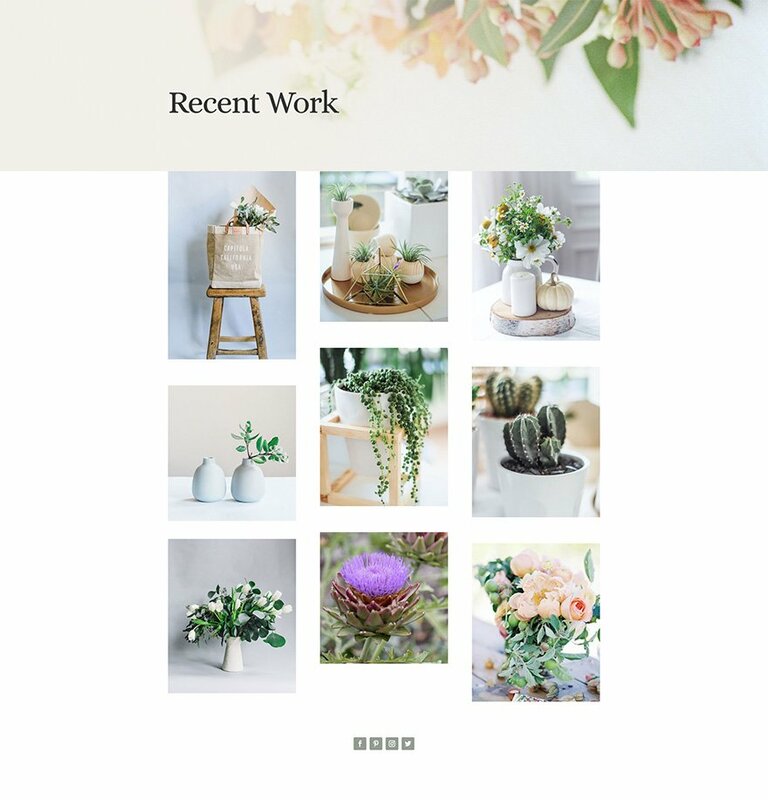 This week Kenny and his team have created a lovely Florist Layout Pack with seven different pages that provide everything your average florist will need to get up and running in just a few clicks. This florist layout pack is definitely designed with florists in mind. The floral images used throughout (especially for header backgrounds) are purposeful and beautiful. 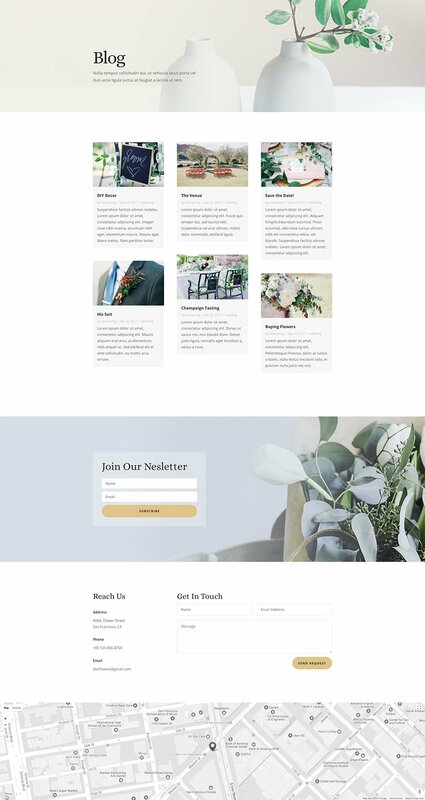 The landing page in particular is extremely useful to any florist out of the box by including sections for seasonal items, discounts, and even a contact form for special bouquets! 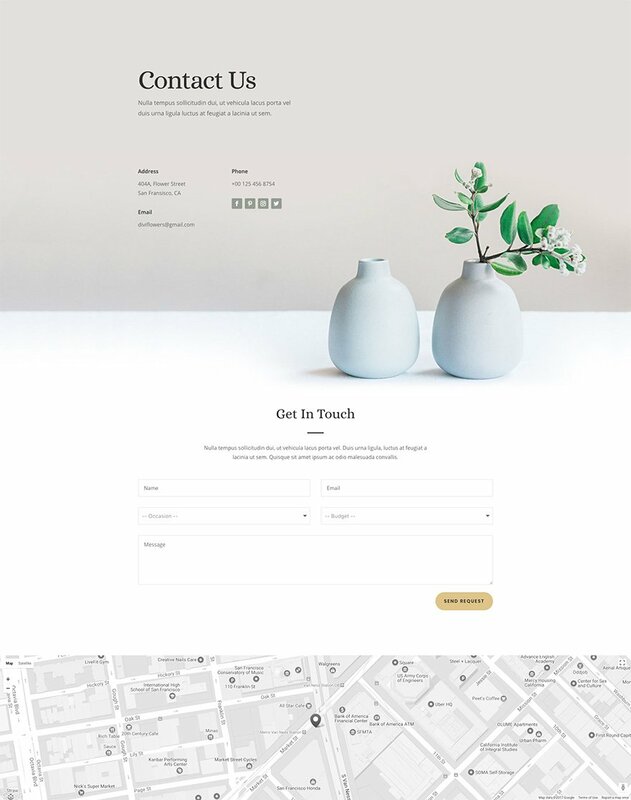 You will need to install WooCommerce and add blog posts in order to reveal the full design on the shop and blog pages, but the results are just as stunning as the rest of the layouts. To use the Florist Layout Pack on your own Divi website, you will first need to download it using the button below. To gain access to the download you will need to subscribe to our Divi Daily email list by using the form below. As a new subscriber you will receive even more Divi goodness and a free Divi Layout pack every Monday! If you’re already on the list, simply enter your email address below and click download. You will not be “resubscribed” or receive extra emails. Once you have downloaded the layout pack, locate the divi-florist-layout-pack.zip file in your downloads folder on your computer. Double click the folder to unzip it and then navigate inside the divi-florist-layout-pack folder. Inside this folder you will find 8 files, each of which is a unique layout that you can import into your Divi Library. To do so, navigate in your WordPress Admin to Divi > Divi Library > Import & Export. You can select the individual layout you desire or choose the All Layouts file to important everything at once. Great idea but why just women? why not do a general one? I may help you on your project as I already help a friend of mine that want to sell online video courses about coaching ; feel free to get in touch with me. The packs are amazing. I am wanting to create a counseling/coaching biz with online course, sales of sessions, a blog, an online store, and a membership site. have you created anything that I could use for that, or would you consider it? that would be so wonderful. I have a general knowledge of Divi, is that enough to use thse packs? Great question. I am a life coach and would be interested in a coaching biz pack as well. Thanks for this Layout. I just designed a site FlowersbyMercedes.com I am not yet completed, but I will be incorporating some sections, modules and images from this layout. Also, I want to say thanks to the Support Team for their prompt responses and Excellent Assistance. BerniE. Just fill in your email and the download button will appear. Awesome… Thank you so much Jason! I am not an uncritical person. But I take off my hat in front of this layout. Any chance we’ll see a Music/Band Divi Layout one of these Monday’s soon? Looks lovely and I would like to use it on a clients site but every time I try to import any of the layouts in this pack, I get the error: This file should not be imported in this context. I was able to load layouts from the layout-pack-wedding, just fine. Any suggestions? Thanks once more for an inspiring theme. I add my voice to the others above and would really be grateful for a life coach / therapist layout. Would be a great help! You might need to make sure that the shop module we’ve provided is configured to show your product categories. Open up its settings and check for that. Once your products are showing the design settings we’ve configured will take care of the look and feel.